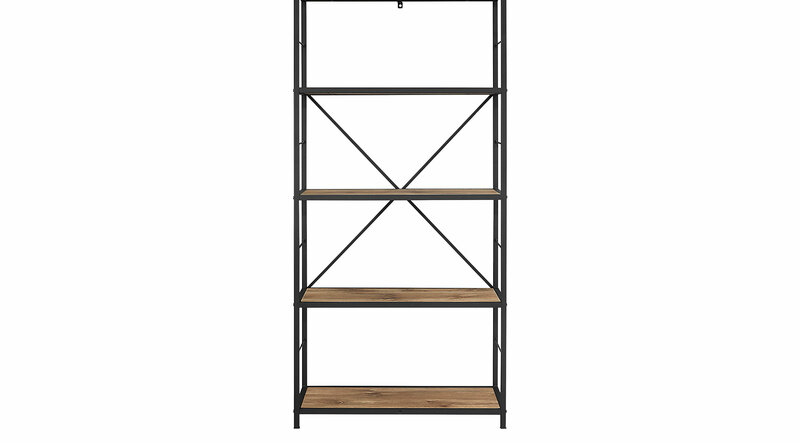 Make the rich, rustic Alcott brown bookcase the showcase piece for your books, accessories, decor, and more. The various shelving layers offer ample storage space for all of your media needs. Its stylish and clean design will complement any room, making it the perfect addition to your home.